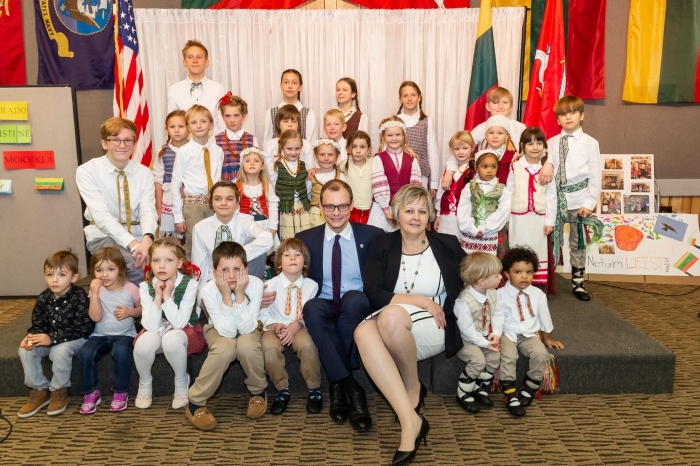 More than 150 Colorado Lithuanians gathered on February 23rd to mark Lithuania's Restoration Day. 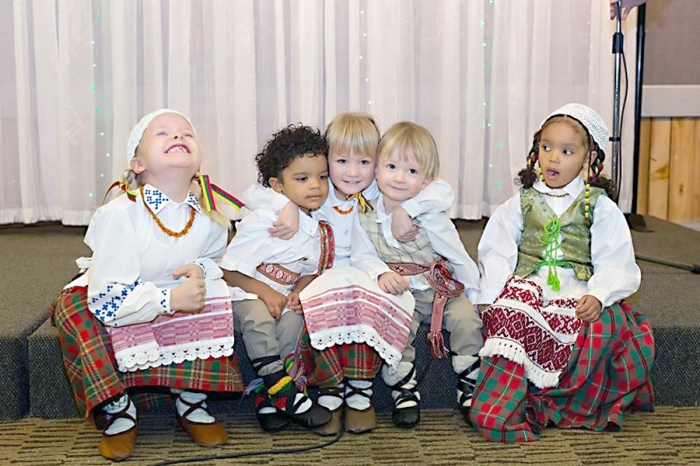 Participants were invited to support Colorado Lithuanian School through the Kazickas Family Foundation Matching Grant program. $2,589 were collected during the evening and KFF will proudly contribute additional $1,000. 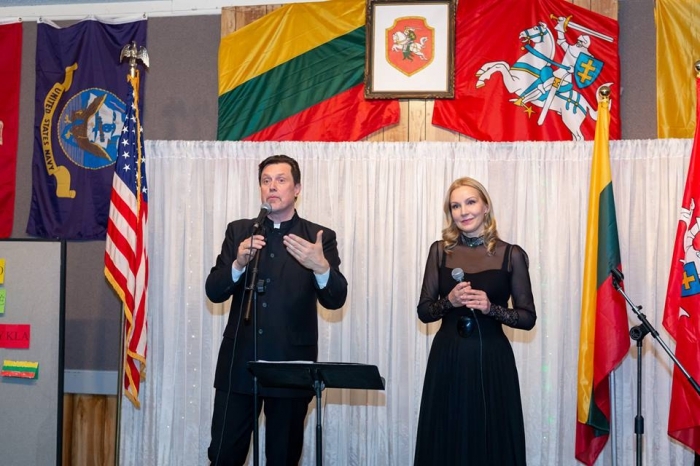 Member of the Lithuanian Parliament, well known opera soloist prof. Vytautas Juozapaitis and his wife Egle Juozapaitiene presented all with their entertainment program - gift to all Colorado Lithuanians. Among the honorary guests was also Consul General in Chicago Mantvydas Bekesius. 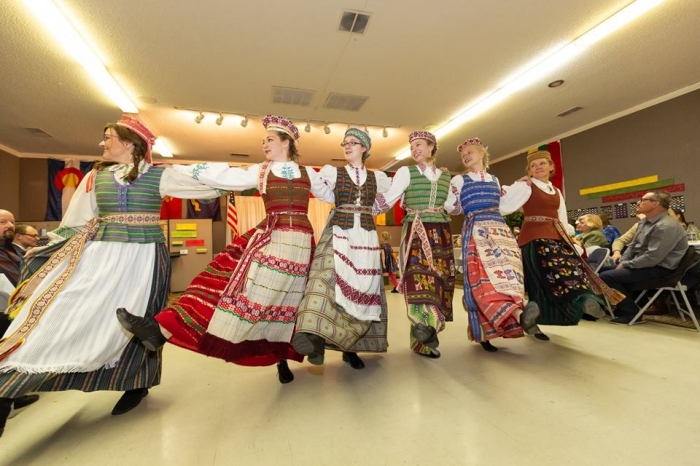 During the event children of Colorado Lithuanian School "Vytureliai" and Colorado folk dance group "Ruta" performed. During the event Colorado Lithuanian community board was elected, guests enjoyed Lithuanian foods and drinks, had an opportunity to purchase some Lithuanian books and crafts at the fair. Consul General M. Bekesius was really impressed by the work of two Lithuanian Schools in Colorado and by the amount of guests gathered at the event, considering that Colorado community is not that big and it's spread out through the rocky state. Pleasant talks and new friendships encouraged Consul General to return to Colorado in fall on a consular mission. Successful event showed that Colorado Lithuanians' hearts beat at the same beat and proved that Colorado community is united, willing to grow and is ready for the challenges. It is clear that even small community so far away from Lithuania can do a lot of great and beautiful work. 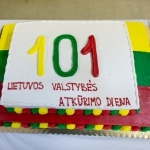 Even was organized by the parents of Colorado Lithuanian School. 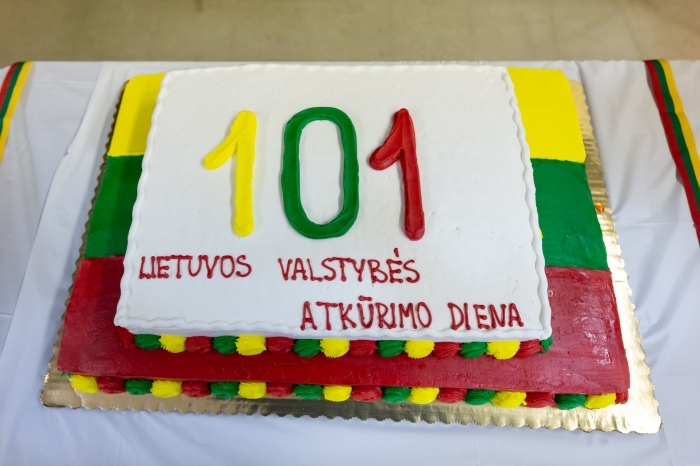 Event's goal was not just to mark Lithuania's birthday, but also to collect additional funds for a brand new school. All collected funds for the entrance tickets, food, fair items sold will be doubled up to $1,000 by the Kazickas Family Foundation's Matching Grant program. Colorado Lithuanian School thanks Lithuanian Foundation, The Kazickas Family Foundation, Colorado Lithuanian Community and all who participated, supported, helped to organize the evening.